I can kill it and the browser will still work, so nothing important I guess. And if I kill one, the other stops using up CPU too... Strange, but at least there's a workaround for now. Here: http://i.imgur.com/Jw1JqIP.png is a screenshot of location popup in Opera Developer 48. The screenshot is in Polish version of Opera, but the English version isn't free of this bug either: http://i.imgur.com/jBS20kQ.png . And this popup is the only one with this bug. Here's a secure connection popup: http://i.imgur.com/8CJtGLD.png and it looks just fine. 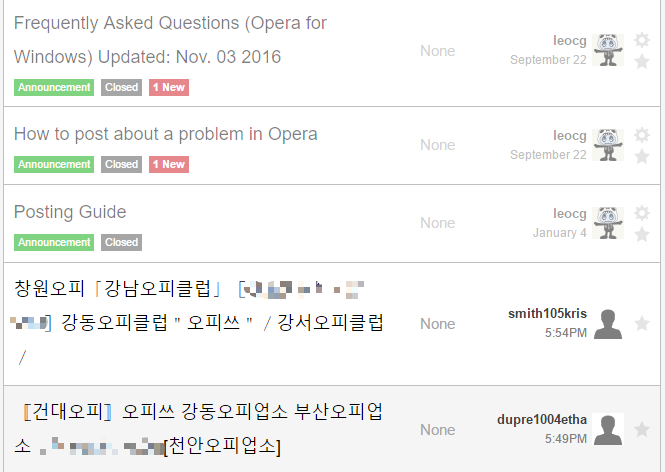 I really enjoy using Opera, however there are a few things that could be improved. My first suggestion would be an option to upload custom images for speed dial thumbnails. Technically changing the thumbnail is already available, but practically... this isn't always true. Most websites only provide a zoomed out screenshot and a generic thumbnail with the webpage adress. My second suggestion is an ability of adding any webpage to the sidebar - it already has Messenger, WhatsApp and Telegram, why not just add whatever you want. Third thing - Opera has two sidebars right now. One with extensions and one with other stuff, there really should be an option to merge them. Fourth suggestion - I don't know if it's only me or not, but this doesn't look quite right. Fifth thing - Reorganizing the extension buttons. I know there's an extension for that - but it doesn't seem to work (at least on Opera Dev). A native option could be useful. Opera + Bing = ?? ?